Some find it easy to be hostile to immmigrants; few stop to hear immmigrants tell their stories. Immigration has found another political moment. A tie in the Supreme Court has blocked President Obama’s efforts to create a program of deferred action for undocumented immigrants who arrived in the US as children or who are the parents of US citizens. House Speaker Paul Ryan has refused to pass any immigration reform until after the fall election. Donald Trump’s candidacy is largely based on a xenophobic anti-immigrant platform and the promise to build a wall on the Mexican border. In an early debate during the Republican primaries Senator Ted Cruz said “the politics of it would be very, very, different if a bunch of lawyers or bankers were crossing the Rio Grande — or if a bunch of people with journalism degrees were coming over and driving down the wages in the press.” But undocumented immigrants are not lawyers or bankers or journalists. They are mostly farm workers and day laborers, and it is unclear whether the work they do could be done without them. Underneath the sound bites, talking heads, and vicious arguments, there are real people trying to make a life for themselves in a country that relies on them but often doesn’t welcome them. 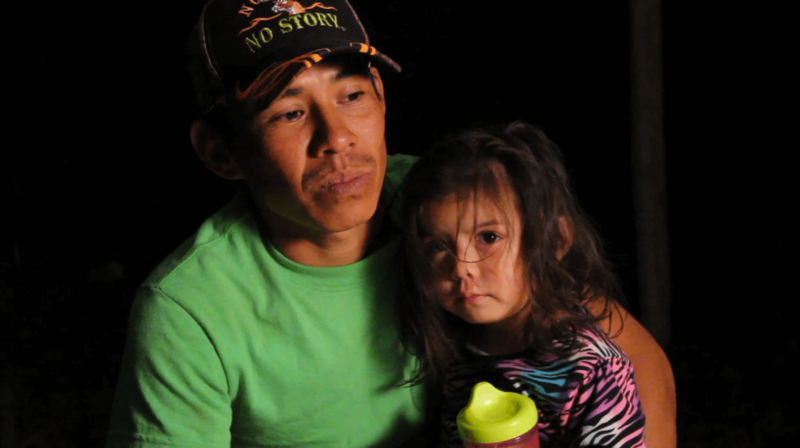 Our documentary tells one of their stories: it's about Brigido, an undocumented fieldworker trying to raise three children and support his family through migrant labor. Brigido and his family move with the crop seasons, spending winter and spring in Florida picking strawberries and summer and autumn in Alabama picking tomatoes. Six or seven days a week he rises before dawn to drive to the tomato field where he works. Paid less than a dollar per box of tomatoes, he will often work eight to twelve hours without stopping for any sort of meal break. He does this so that his children can have a better life. Maybe this is what the American dream looks like now, in a country that has largely stopped dreaming.